Calling or emailing your state legislators is the most important thing we all must do to help get hemp legislation passed! Below is a sample text that can be used to create an email or to use as a script for calling. It is very important for legislators to hear directly from their constituents. Create an email using the text below. Or use the text as a call script. If emailing, please fill-in your State Legislator’s name and your name, then copy and paste the letter template into your email or the legislators contact form on their website. Please copy info@pahic.org in your email. I am writing to you as a constituent requesting your support and YES vote on PA Senate Bill SB50 (Industrial Hemp), which is currently moving towards a full vote in the Senate. Industrial Hemp is a much sought after rotational crop that can bring significant opportunity for PA farmers. It can help them stay on the family farm, earn a fair income while at the same time help establish a whole new agricultural based industry in the Commonwealth. 26 States have already passed legislation to reintroduce an Industrial Hemp crop to their farmlands. Kentucky expects to replace its tobacco losses with Industrial Hemp and has outpaced the Commonwealth, planting thousands of acres in 2015. Those jobs and opportunities should also be available to Pennsylvanians, where, at one time, Industrial Hemp was one of our largest crops! 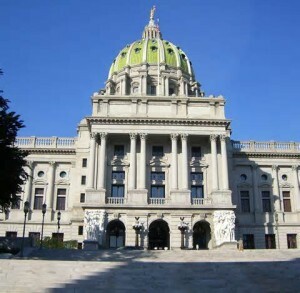 Please vote in favor of SB50 – it’s a $billion dollar opportunity for PA! I am writing to you requesting your support, co-sponsorship and YES vote on House Bill 967 (HB967), the Industrial Hemp Bill. Please vote in favor of HB967 – it’s a billion dollar opportunity for PA!